Good Monday Morning! 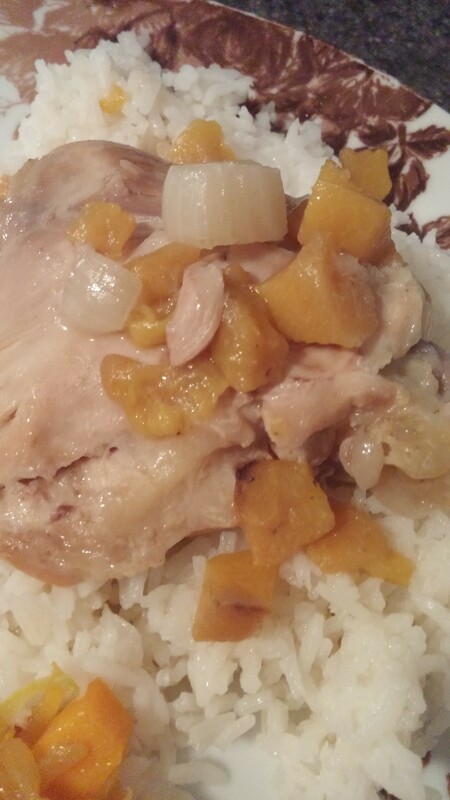 Enjoy another Monday slow cooker chicken recipe! This one is a delicious summer dish! ENJOY! Mi together in a small saucepan and bring to a boil. Turn down to a simmer for 15 to 20 minutes. The mixture will slightly thicken. LET COOL COMPLETELY. The original recipe calls for 1 cup peach jam, I wanted a less sugar option. Add the soy, ginger and garlic to the peach mixture. 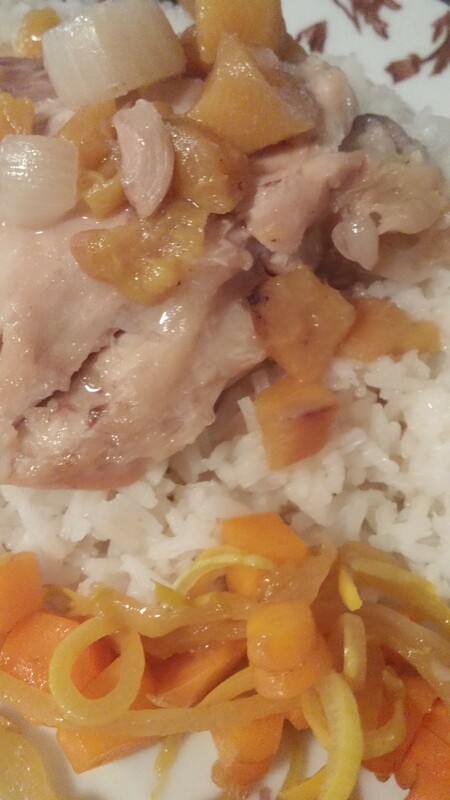 Place the chicken thighs in your slow cooker, add onions on top and season with salt and pepper. Add the cooled peach mixture. Cook on low 3 to 4 hours. I start checking for doneness at 2 hours. ENJOY!